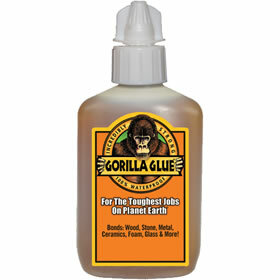 Gorilla glue is more costly than other brands of glue, but it is worth the extra cost. Gorilla Glue takes longer than average to dry, but forms a strong and rigid glue joint. The glue foams while it dries and penetrates the balsa wood to create a better and stronger hold than average glues. This glue has a unique quality of using water to dry instead of an absence of water like other glues. NCF Hot Accelerator dramatically decreases the curing time of super glues "Cyanoacrylate" and forces the glue to cure when it wouldn't otherwise. This accelerator is active for several minutes, so you can spray several pieces at once if you are making multiple bonds. 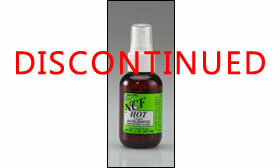 NCF-2 is a 2oz bottle with a plastic spray pump. Harmful if inhaled, swallowed, or sprayed into eyes. Use only in ventilated area. QA-6 NCF Quick 6oz Aerosol CA Glue Accelerator comes in a convenient 6oz aerosol can for easy application. Sprays uniformly just like a spray paint can. This aerosol accelerator can decreases the curing time of super glues glue "Cyanoacrylate" and forces the glue to cure when it wouldn't otherwise. NOTE: THIS PRODUCT CAN ONLY BE SHIPPED VIA GROUND SERVICE due to restrictions on shipping aerosol cans. Harmful if inhaled, swallowed, or sprayed into eyes. Use only in ventilated area. ALTECO ST50 Super Glue dries in seconds and has a very strong bond to the balsa wood's surface. Simply open the top with a pin, put the thin glue applicator on, and you won't need to put the cap on again. If it ever plugs up simply remove any excess glue from the tip of the applicator or cut a small section off of the tip. This glue is excellent for those times when your balsa project breaks and you don't have hours for the glue to dry. 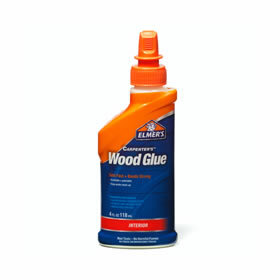 Elmer's Wood Glue is inexpensive glue that is quite effective for holding balsa wood together. The glue is available at nearly every store that sells glue. If however, you do not have access to this type of glue, you can order Elmer's Wood glue for a reasonable price from us. 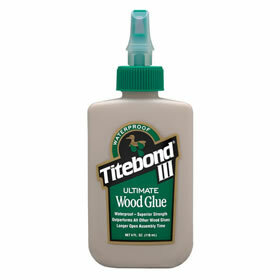 Titebond III Ultimate Wood Glue is a new type of wood working glue with superior strength and durability. If you are looking for glue that is waterproof, does not foam like standard polyurethane glue, and has excellent strength then Titebond III is a good choice. 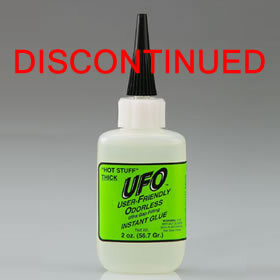 This medium sized bottle of odorless superglue allows you enough time to move the glue joint into position before it dries. The glue is thicker so you can put it around the glue joint if needed. There is 1 ounce of glue in this bottle that will last quite a while. I like to use this glue for end grain applications also -- if you cut a stick in half and try to glue it back together, most superglue will not do so but this glue will. Fumes from superglues can get very bad but this glue doesn't have a smell. Please keep this glue in the freezer to extend its shelf life. 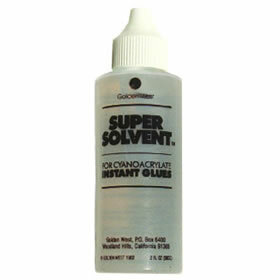 Super glue remover for cyanoacrylate instant glues. To remove glue from skin: wet a soft cloth such as a paper towel with solvent and apply to glue for 30 seconds. Wipe clean and repeat as necessary. Wash with soap and water. To break existing bonds: apply solvent directly to bond. Repeat at 1 to 2 minute intervals until bond can be separated.